Australian gin brand Four Pillars has launched its first brand campaign film, a “Wes Anderson-style” introduction to the brand’s signature G&T. 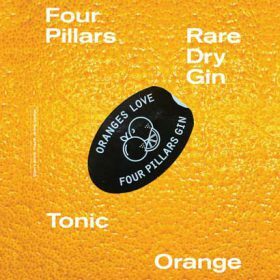 The film, which was developed by creative agencies Interweave Group and Tooth & Claw, breaks down the Four Pillars G&T into its four key components – ice, gin, tonic, orange. Four pastel-coloured “Wes Anderson-style vignettes” introduce each component of the drink, which are combined to create the brand’s signature serve. The film will run across YouTube, Facebook and Instagram throughout December and will be accompanied by a street poster campaign in Sydney, Melbourne, Perth and Brisbane throughout December, January and February 2019. Four Pillars is also collaborating with Thornbury Picture House in Melbourne to run the campaign film as pre-movie content over the summer months. The Australian gin brand, which recently appointed former Diageo employee Tom Appleton as its regional trade director, featured in The Spirits Business‘ list of gin brands to watch in 2019.